Previously at Roteberg, Wilhelm started his Education career. 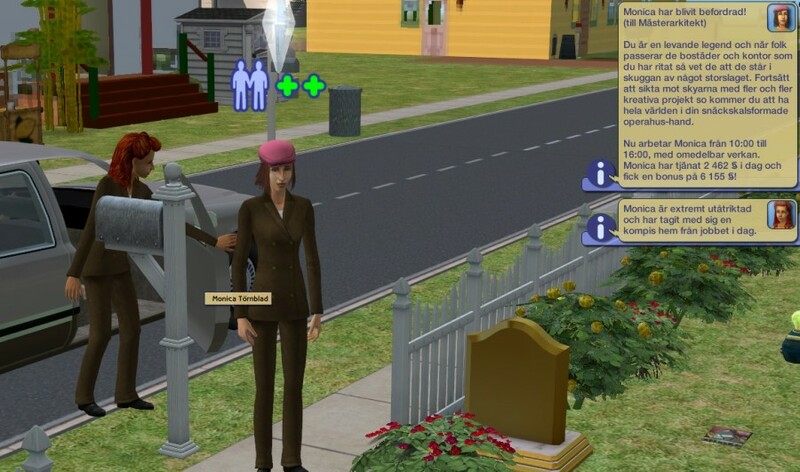 Monica filled her aspiration panel. 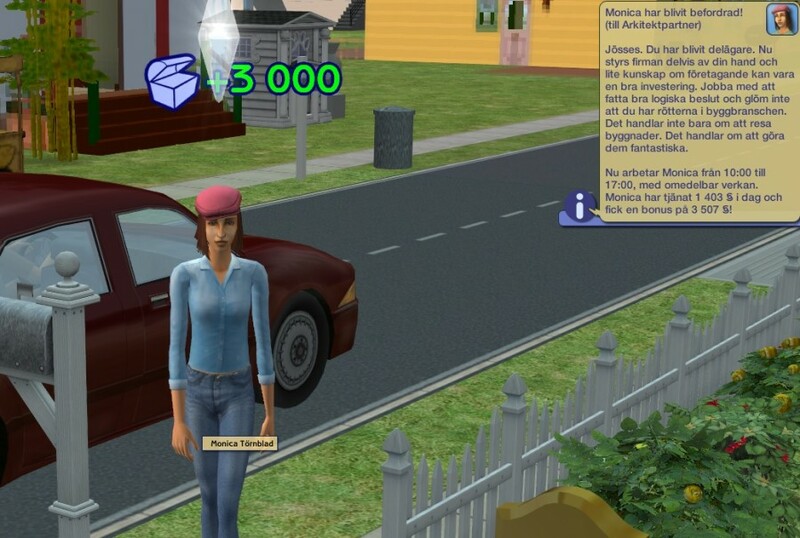 Marie became a Fortune teen and Robert and Niklas moved to Uni. The reast was reading and writing books. 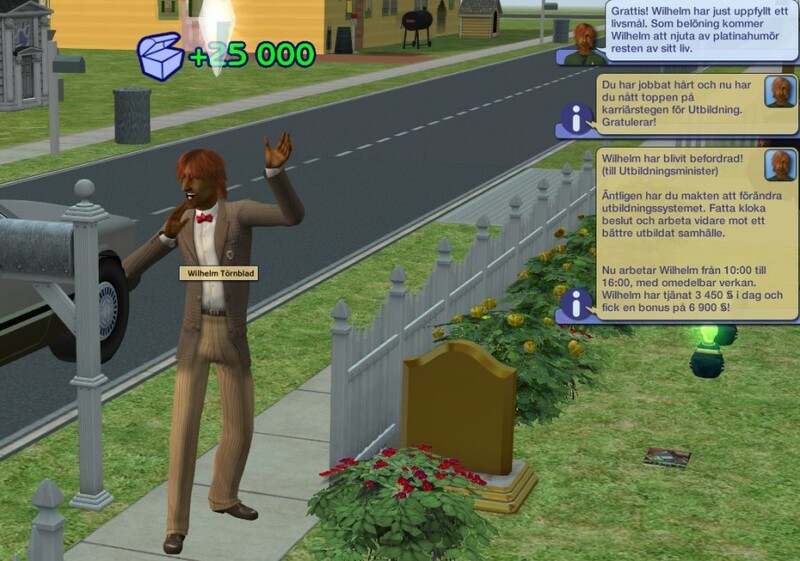 Patrik Mellberg is the former mailman of Mattsmyra. He was married to Susanne Berg, heiress to the Berg family at Roteberg. 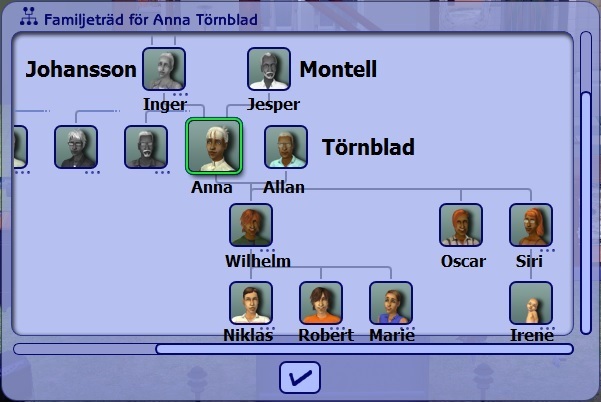 Wilhelm comes from the Montell clan but is named Törnblad after his father. He’s got one brother and one sister, three children and one niece. We start this update with a family Sunday. Patrik who has acquired a secondary aspiration of Grilled Cheese serves brunch. 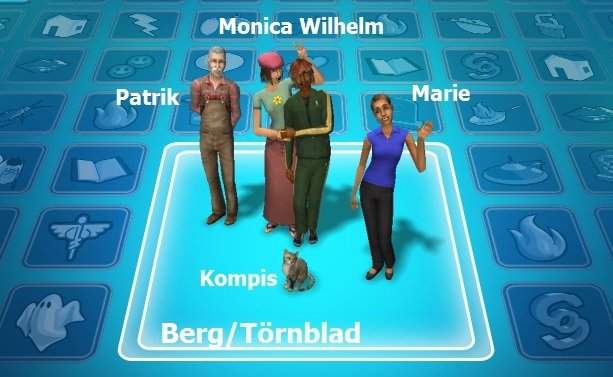 Monica’s cousin Adam is married to Wilhelm’s sister Siri, but unfortunately he’s not a nice man. Great timing! The headmaster arrives just as Wilhelm leaves the car. Time to get Marie into private school. 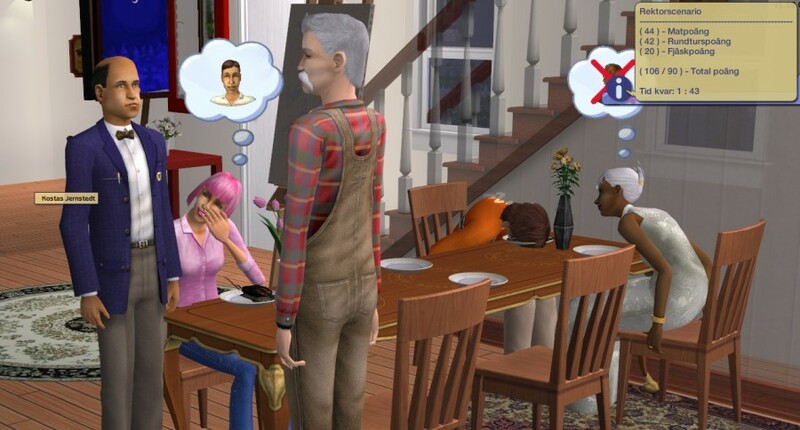 Marie gets all starry eyed when she sees how impressed the headmaster is of the family. And she starts bringing home people from school already on her first day. 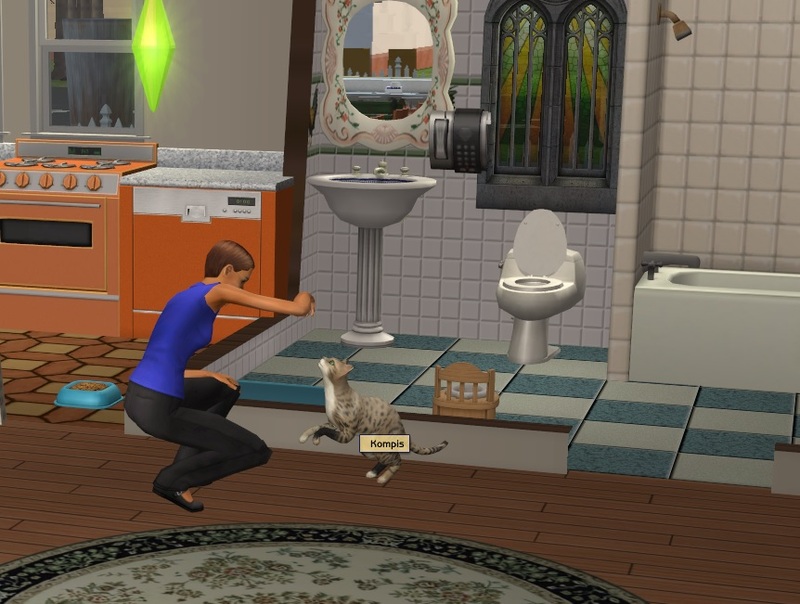 And she’s nice to the cat. 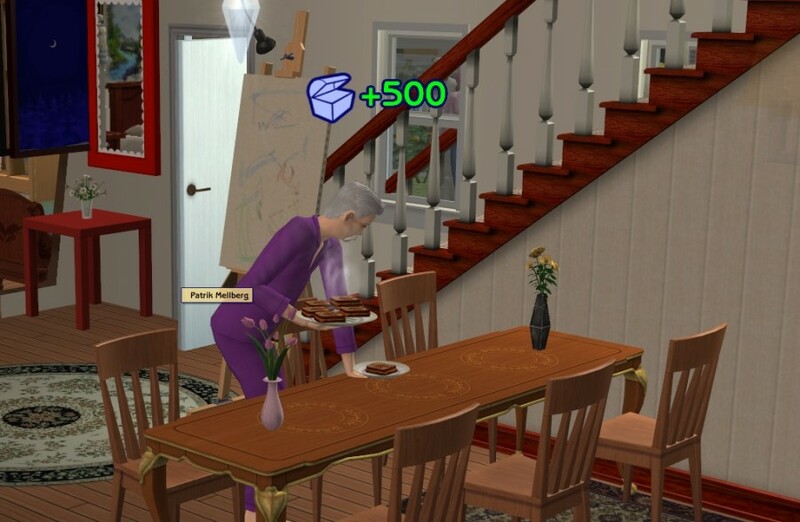 Patrik maxes his Culinary hobby. Again, so no plaque. Monica, who started working for the first time in her life gets promoted to Architectural Partner and then Master Architect in just a few days. And it’s all celebrated with a Grilled Cheese dinner. Looks like a successful, if somewhat uneventful round. Always amazed at how you manage to keep going on this. Wish I was half as dedicated to finishing the challenges I've started. They're back! Welcome back! 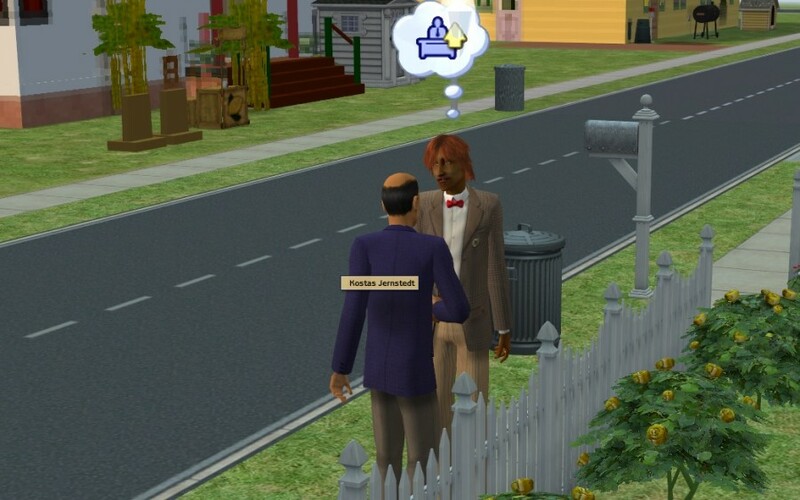 ^_^ Good to see a nice sim sometimes. 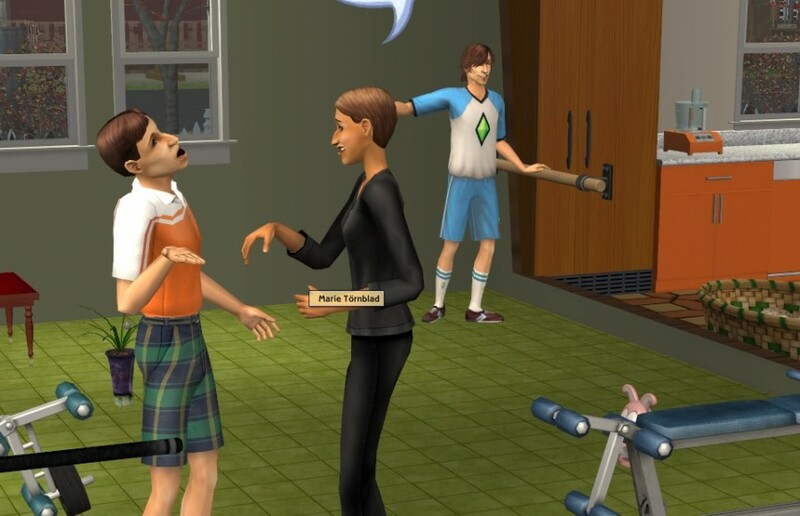 Well, the Berg family are rather nice, especially compared to the Mattssons! 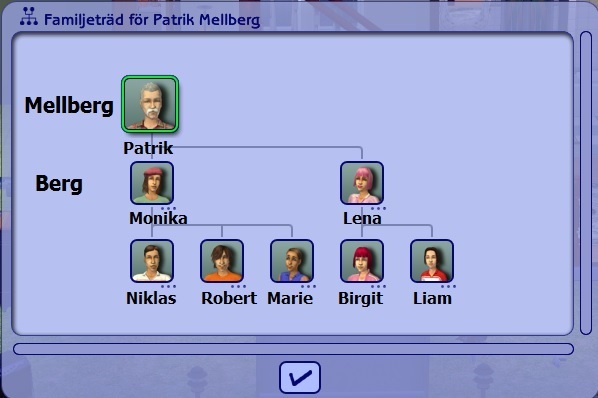 Suddenly it felt like only yesterday when Patrik Mellberg moved in with Susanne (and got a mustache) but you really have been playing this hood for a very long time. You do have a knack for making it easier for us, the readers, to remember what has happened before though, adding just the right piece of information to trigger memories of previous updates. 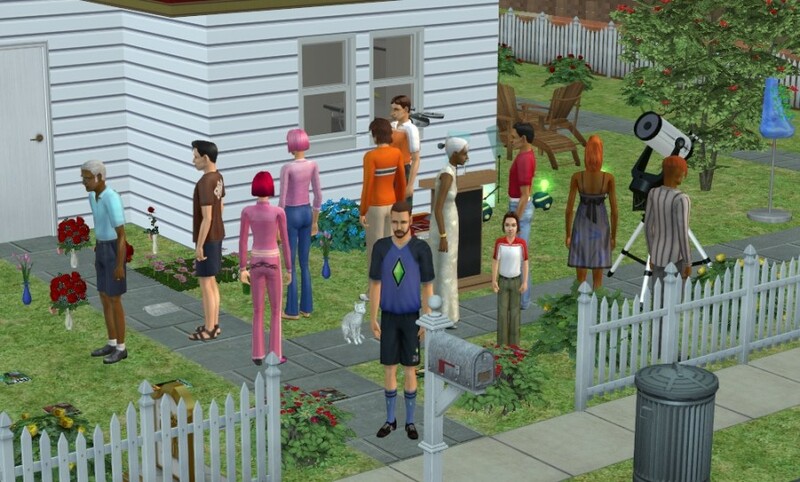 It is all so clear and organized in midst of the chaos of all those free roaming sims. Your updates are always fun to read, and even if I have been very bad at commenting, I always read them. I hope you'll get the satisfaction of finishing this challenge. 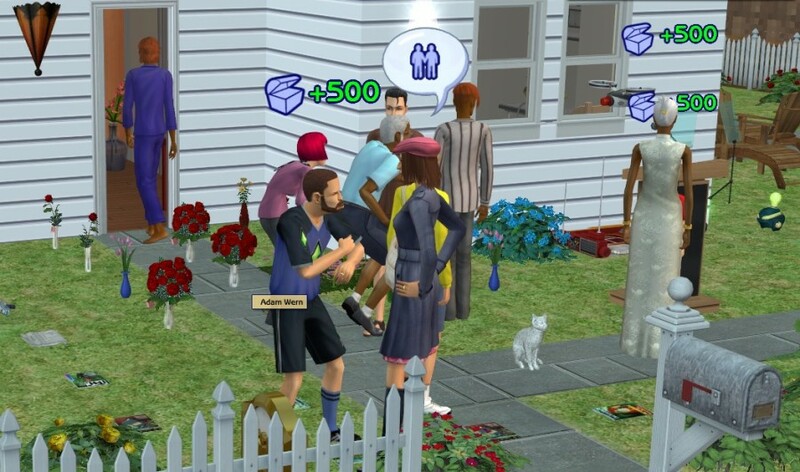 As I've told you a lot of times before, all those years I have playing The Sims 2, I've been preoccupied with building and making sims and haven't gotten around to learning much about the game-play or even set-up; how their personalities work and what kind of actions and interaction they trigger. 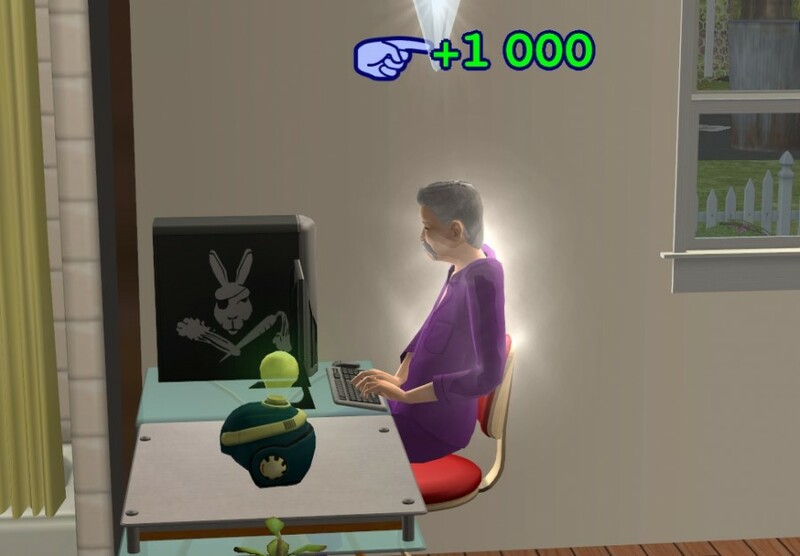 I'm actually just started studying the zodiac signs properly, because in The Sims 3 they still matter (for attraction mostly), but they don't affect any personality points, so whenever I'm creating a sim I have to have the sims wiki open so I can look it up. For some reason the facts about the signs won't stick, my brain refuses to learn. (It could have something to do with the fact that I haven't paid much attention to astrology in RL.) Why is Anna smiling all the time? It probably has something to with her sign - right? Yet another wonderful family. 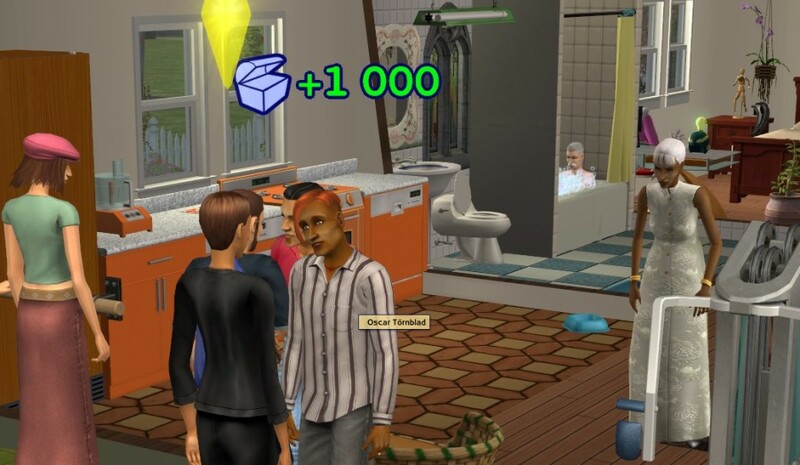 I still remember when Patrik moved in. He had quite the successful family there. I have always loved how much Anna smiles, it's so sweet! Out of curiosity, why did you have Monica start working? Surely this family isn't short money.